The idea that eating more could somehow help dieters weigh less seems to contradict the laws of thermodynamics and simple common sense. After all, should not dieters have to eat less to weigh less? Nonetheless there is one food category and one specific food to help dieters lose more pounds while eating more food. Let's start with the general type of foods that aid rapid weight loss and then consider the one food that scientists know will promote slow weight loss that keeps the pounds from coming back. We are all familiar with high-protein diet plans. The Zone diet, Atkins diet, the South Beach diet, and hundreds of knock-offs of these popular diet plans all tell us that the way to lose weight without having to fight hunger is to eat more protein and more fat. High-protein diets are a great way to lose 3 or 4 pounds (1-2 kilos) of water weight fast. The liver stores sugar in the form of glycogen as a ready reserve of energy. Strictly speaking, this is not fat. It's sugar in a storage form, and there is an upper limit to how much the liver can store. This stored energy essential is for emergencies, and also to help the body get through the night without your having to get up and eat a snack. The liver makes this glycogen fuel by combining glucose and water. When the glycogen is converted back into glucose to be burned as fuel, the water is released and urinated away. A high-protein diet does not provide the extra sugar the liver needs to make glycogen, so the liver quickly uses its stored glycogen and releases the water it stores with it. If you go on any high-protein diet you will probably lose 3 or 4 pounds with ease. You also gain those 3 or 4 pounds back with ease the very same day you stop the diet. Some protein foods, notably fish proteins and whey proteins, are especially "filling." It may be easier to eat less if you eat fish or you drink whey shakes. The problem with any kind of high-protein diet, however, is that while protein may kill your appetite for carbs, it won't kill your appetite for fat, and it's hard to lose fat if you are consuming excess calories in the form of fat. If your body can't use all the protein you eat, it converts some of the excess into sugar. The process of converting amino acids into glucose is inefficient, so some of the caloric value of high-protein foods is used in the conversion process. Still, about 30% of all the excess protein you eat becomes sugar, filling up the liver so gain water weight back, or fat. If a high-protein diet does not fill up you up, you aren't going to lose weight or you aren't going to keep it off for very long. If you are careful about what you eat, protein helps you get around the "eat less to weight less" rule, but only for a day or two and only for about a pound or two. Fortunately, there is one common food with longer-lasting effects. It sounds nuts, but it works. Marks SJ, Chin S, Strauss BJ. 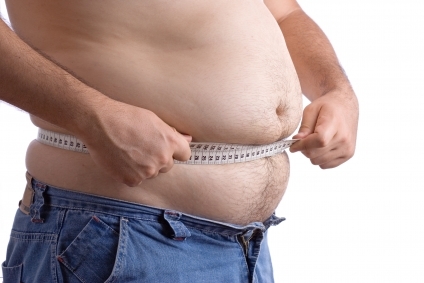 The metabolic effects of preferential reduction of visceral adipose tissue in abdominally obese men. Int J Obes Relat Metab Disord. 1998 Sep,22(9):893-8. Wien MA, Sabaté JM, Iklé DN, Cole SE, Kandeel FR. Almonds versus complex carbohydrates in a weight reduction program. Int J Obes Relat Metab Disord. 2003 Nov,27(11):1365-72. Erratum in: Int J Obes Relat Metab Disord. 2004 Mar,28(3):459.